After a Georgia contested divorce or custody dispute, parents often find it difficult to work together in order to effectively co-parent their children. Co-parenting is hard work, and it takes effort. If parents allow their anger or distaste for one another to outweigh their love and affection for their children, disaster may result. Thus, parents must do everything in their power to try to work with one another for the benefit of their children. Below is a list of Co-Parenting Dos and Don’ts which will hopefully help minimize the conflict that may arise between you and your co-parent. DON’T make unilateral parenting decisions, disparage, or discard the parenting decisions of your co-parent. DO be respectful of your co-parent’s parenting style. Sit down with your co-parent and make an affirmative plan that sets aside any differences you may have between you and focus instead on meeting the needs of your children. DON’T refuse to answer telephone calls from your co-parent while your children are visiting. It is important for your children to know that maintaining a relationship with both parents is equally important. DO encourage your child to maintain a relationship with the other parent. 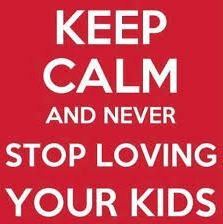 Do understand that your children deserve and need love and support of both parents. DON’T have your children relay messages to your co-parent. Children should never be placed in the position of middlemen. Do not place your children in the middle of any conflict between you and your ex-spouse or ex-partner. DO openly communicate with your co-parent and communicate directly. Make sure that you and your co-parent agree to keep each other informed about changes in your life circumstances so that your child is never used as a messenger. DON’T keep information regarding your children, such as parent/teacher conferences or grades, from your co-parent. Your co-parent should be involved with every aspect of your children’s life. DO keep your co-parent updated regarding the children often and share all information regarding your children with your spouse. DON’T leave town or take your children out of town without informing your co-parent. DO ensure that your co-parent knows where you and the children are in the event of an emergency. DON’T talk poorly about your co-parent to your children. You should encourage your children to love and respect their other parent. DO agree with your ex that you absolutely won’t disparage each other to your children. Further, forbid your children to speak disrespectfully about the other parent even though it may be music to your ears. DON’T continuously pick up or drop off your children late. Be sure to let you co-parent know if you will have a problem picking up or dropping off your children for visitation on time. DO negotiate and agree on how you can best handle such things as handing off the children for visitation, holidays or events. Try to be flexible when there is a need to alter the schedule. DON’T discipline or set rules that are the inconsistent with the rules in the other parent’s home. DO agree on boundaries and behavioral guidelines for raising your children so that there’s consistency in their lives regardless of which parent they’re with at any given time. Children need consistency and stability. DON’T pay child support or medical expenses late. Unexpected events do happen in life; and, if it is necessary to make support payments late, inform your co-parent. However, don’t withhold or become delinquent purposefully. DO meet all support obligations in a timely manner. Remember, failing to meet your support obligation only harms your children and exposes you to possible contempt. DON’T force your child to choose a side when there is a conflict in scheduling or another planning challenge. DO understand that your child deserves to spend quality time with both parents. Your child also deserves and needs the love and support of both parents.